With Readly you can read The Keynote Book and thousands of other magazines on your tablet and smartphone. Get access to all with just one subscription. New releases and back issues – all included. The Keynote Book is packed full of great tutorials and features to help you master Apple’s brilliant presentation app on Mac. Keynote for Mac makes it simple to create and deliver beautiful presentations, and this digital special includes over 30 pages of easy-to-understand, step-by-step guides to creating dazzling slideshows and master the presentation tools. 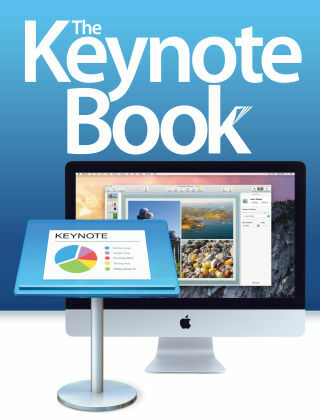 Brought to you by the makers of iCreate, this is an essential purchase for any iWork user.